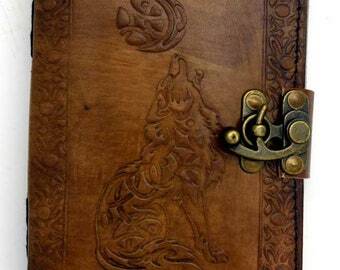 This Leather Journal is ANOTHER ONE OF OUR HUGE AND BEAUTIFUL JOURNALS!!!! 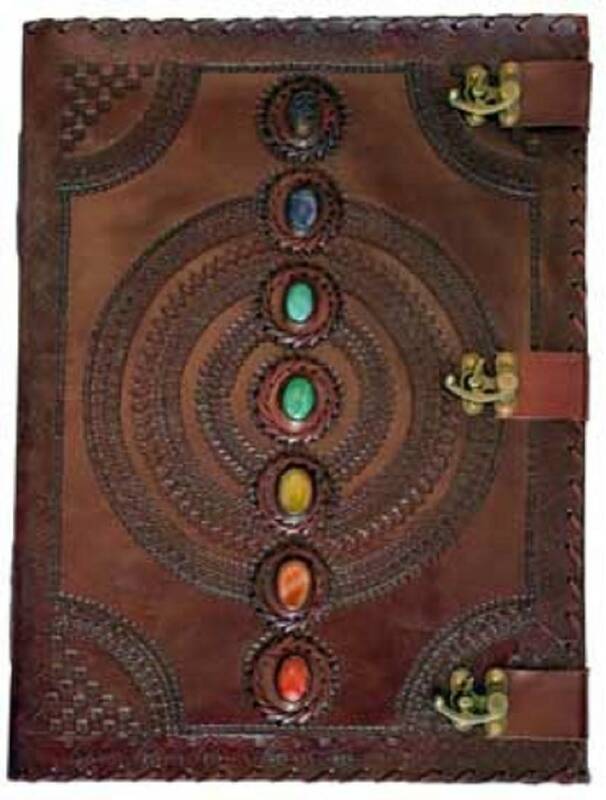 A massive tome' with three latches to keep it closed and a line of 7 Chakra stones running down the front over the simple mandala centered on the cover. 180 blank, handmade,unlined, linen parchment paper pages. 13 1/2" x 18", (made from goat leather). even give it as the best Wiccan gift to your favorite Witch!